The Wolverines defeated Sherman, 52-44, on Monday night to capture the Chautauqua-Cattaraugus Athletic Association Division 2 West title outright for the first time since 2000. It didn’t come easy for Westfield (14-6, 10-2) on Monday night, as defending league champion Sherman (8-11, 7-5) got out to an early lead. 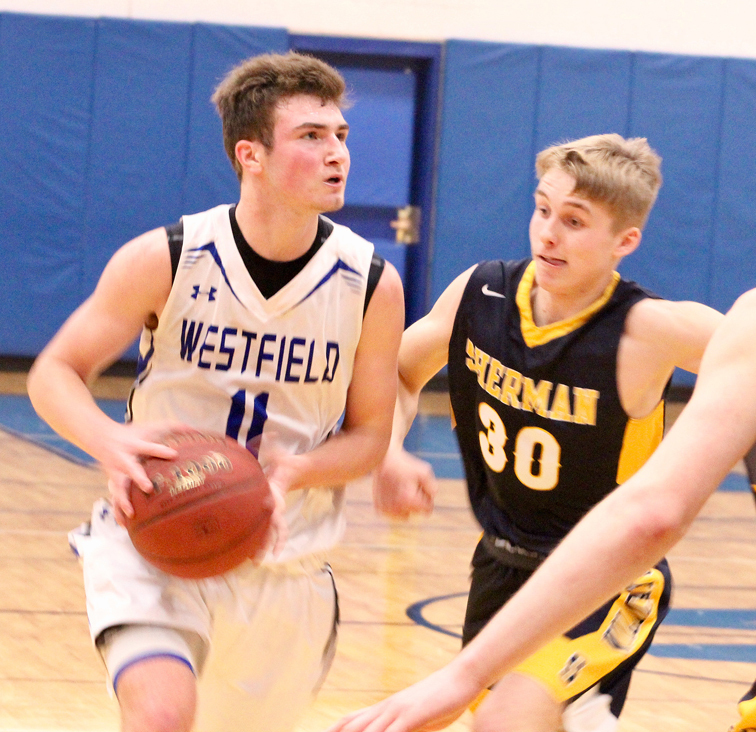 Westfield remained scoreless halfway through the first quarter, until Andrew Baribeau scored six straight points to put the Wolverines on top. Sherman pulled ahead through the first half of the second quarter, leading by as many as seven points before the Wolverines clawed back into it. Baribeau hit a pair of free throws to cut the deficit to just three points, 21-18, but Sherman responded with the final five points of the first half to take a 26-18 lead into halftime. In the first two minutes of the second half, Westfield came out like a team playing for a division title should, with six straight points to cut the deficit to just a bucket. Baribeau nearly eliminated the deficit completely, but was called for a charge that infuriated the Westfield bench. The deficit didn’t last much longer, however, as Hauser connected on a fast-break layup to tie the game at 26 apiece with 5:32 to go in the third quarter. 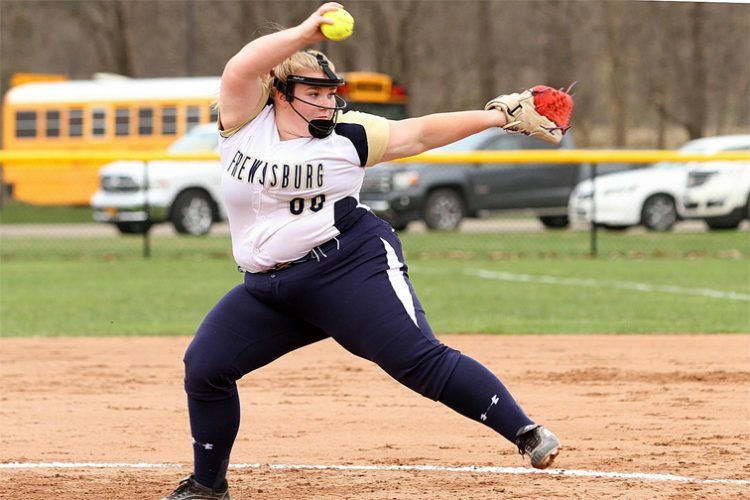 “In the second half, they (Westfield) are a veteran team … they turned up the intensity and we couldn’t quite match it,” Sherman coach Cory Emory said. Jayvee call-up Darien Swanson drilled a 3-pointer to give Westfield the lead with 3:22 in the third quarter. The two teams traded one-score advantages until the final moments of the third quarter, when Westfield took a 36-33 lead into the final quarter. The Wolverines outscored the Wildcats 18-7 in the third quarter. Baribeau led Westfield with 17 points while Jafarjian added 12. The Wolverines had 34 rebounds as a team, six of which came from Nathan Culbreth, who also had a team-high seven assists. Swabik was the only player to reach double figures in scoring for Sherman, with a game-high 18 points. Westfield now awaits a playoff matchup to see if Monday was the last time this group of Wolverines hit the floor together in Westfield. But no matter the outcome of the playoff brackets, Hauser made his goal of hanging a banner in the Westfield gym come to fruition in his final regular-season game. 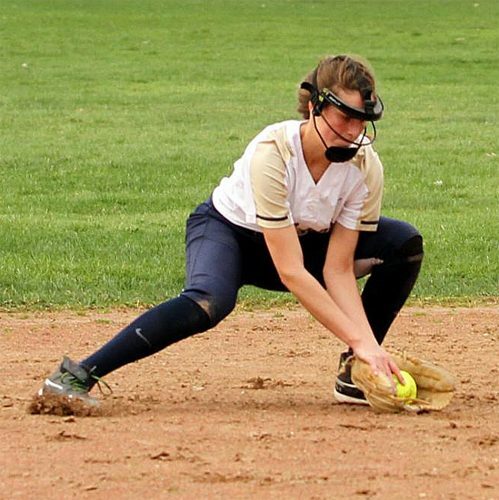 MAYVILLE — Chautauqua Lake went 12 of 19 from the free throw line to erase a two-point deficit and beat Dunkirk, 70-60, in Division 1 West action. Zach Fischer scored 11 of his 19 points in the final eight minutes for the Thunderbirds (10-9, 4-7). 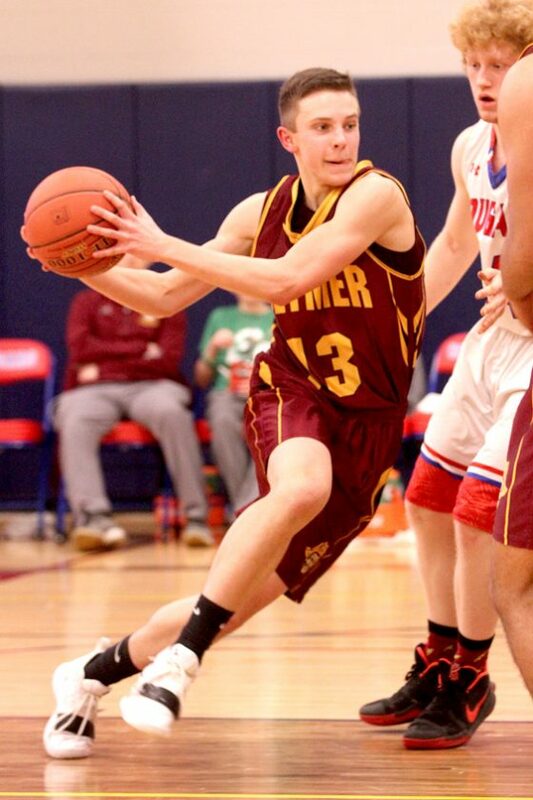 The Marauders (1-18, 0-12) led 21-9 after the first quarter, but Chautauqua Lake battled back to tie the game at halftime, 31-31, thanks in part to Luke Waters scoring 11 of his 15 points, including three 3-pointers, during the second quarter. Kyler Majka scored 14 points, Nate Adams had 12 points and 13 rebounds, Bryan Anderson grabbed eight rebounds, Fischer had four assists and Waters had three steals for the Thunderbirds. Earl Stewart led Dunkirk with 26 points while A’Amarion Tell had 13. Stewart 10 3 26, Lockett 1 0 2, Kubasik 3 0 7, Gonzalez 3 0 9, Leeper 1 1 3, Tell 4 3 13, Barreto 0 0 0, Mendoza 0 0 0, Pagan 0 0 0. Totals 22 7 60. Gleason 1 0 3, Anderson 1 4 6, Waters 5 2 15, Fischer 5 9 19, Majka 5 3 14, Kuhn 0 1 1, Adams 4 3 12, Stahlsmith 0 0 0, Putney 0 0 0. Totals 21 22 70. 3-point goals–Stewart 3, Kubasik, Gonzalez 3, Tell 2, Gleason, Waters 3, Majka, Adams. Caleb Chelton chipped in 9 points and five rebounds for Brocton. Shelton 3 0 9, Booker 8 2 18, Morello 1 2 5, Brown 4 4 12, Steward 1 1 3, Krystofiak 1 0 2, Dispense 1 0 2, Rivera 3 0 7. Totals 22 9 58. Lawson 0 0 0, Spontaneo 2 3 8, Sperry 4 0 10, Harper 1 0 3, Barmore 9 13 31, Hovey 1 2 5, Joslyn 0 0 0, Hinsdale 1 2 4. Totals 18 20 61. 3-point goals–Shelton 3, Morello, Rivera, Spontaneo, Sperry 2, Harper, Hovey. FALCONER — Nate Seaholm made four free throws in overtime to help Falconer beat nonleague Cattaraugus-Little Valley, 47-45. Chris Bollman opened the extra period with a 3-pointer for the Golden Falcons (5-14, 1-11 CCAA Division 2 West) and Bobby Samuelson added a free throw. Seaholm then made his final two free throws to give the hosts a four-point lead before the Timberwolves (2-16, 1-8 CCAA Division 2 East) scored just before the final buzzer. Samuelson led Falconer with 16 points and 12 rebounds while Ben Schrader had 11 points. Bollman added six assists; Seaholm had four rebounds, four steals, two assists and a blocked shot; Nate Abbey grabbed five rebounds; and Drew Troutman grabbed five rebounds. Elijah Perkins had 14 points and nine rebounds; Michael Perkins had 14 points and eight rebounds; and Nick Burroughs grabbed 12 rebounds for Cattaraugus-Little Valley. Drewiega 1 0 2, MPerkins 5 3 14, EPerkins 5 2 14, Savidge 2 0 4, Burroughs 0 0 0, Halterman 2 4 9, Lee 1 0 2. Totals 16 9 45. Seaholm 1 4 7, Bollman 1 1 4, Schrader 5 1 11, Samuelson 6 4 16, Abbey 2 0 4, Troutman 2 1 5, Rowan 0 0 0, Buffone 0 0 0. Totals 17 11 47. 3-point goals–MPerkins, EPerkins 2, Halterman, Seaholm, Bollman. SINCLAIRVILLE — Lucas Beckerink scored 16 points and Zavon Overton added 12 to lift Clymer to a Division 2 West victory over Cassadaga Valley (7-11, 4-8). The Cougars’ Conner Crabtree continued his quest to 1,000 points by scoring 19 and teammate Ty Pattyson added 13 points and 10 rebounds. 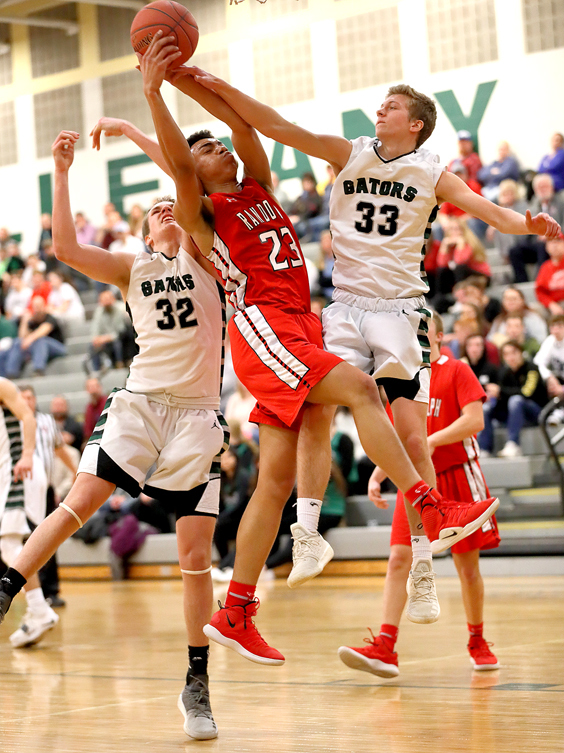 ALLEGANY — Sam Flanders scored 17 points to lead Allegany-Limestone to a 58-46 win over Randolph, clinching the CCAA Division 1 East title outright for the Gators. Ben Giardini and Casey Curran each added 12 points for Allegany-Limestone (15-2, 10-0), which used a 19-8 third quarter to take command. Ty Hind and Gabe McCoy each scored 16 points for the Cardinals (14-5, 8-2). Steward 3 1 9, THind 5 3 16, McCoy 7 2 16, Bernard 2 1 5, Morrison 0 0 0. Totals 17 7 46. Giardini 4 3 12, Flanders 5 4 17, TCurran 1 0 3, Golley 3 1 7, CCurran 4 3 12, Wolfgang 3 1 7. Totals 20 12 58. 3-point goals–Steward 2, THind 3, Giardini, Flanders 3, TCurran, CCurran. OLEAN — Matt Droney scored 20 points as Olean moved to within one game of a perfect regular season with a 70-45 Division 1 West victory over Southwestern. Mike Schmidt added 12 points and Jarrett Prizel had 10 for the Huskies (19-0, 11-0). Alex Card led the Trojans (14-4, 8-3) with 13 points and Cooper Pannes had 9. 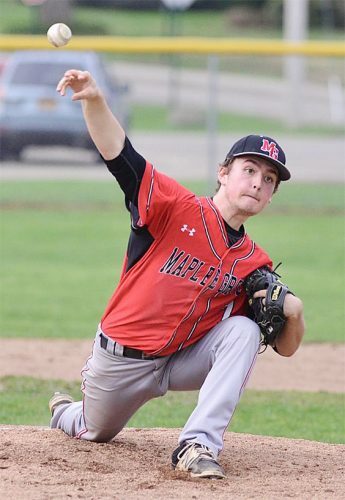 Olean will look to finish its perfect regular season Thursday at Fredonia. Card 5 2 13, Certo 1 0 2, Pascarella 3 0 7, Pearson 0 0 0, Kennedy 1 0 2, Munir 1 0 3, Pannes 4 1 9, Mathews 1 2 5, Hnatyszyn 1 2 4. Totals 17 7 45. Schmidt 4 2 12, Bihler 3 2 8, Droney 9 2 20, Dwaileebe 3 0 8, Weakfall 1 0 2, Prizel 5 0 10, James 3 0 6, Davis 1 0 2, McClain 1 0 2. Totals 30 6 70. 3-point goals–Card, Pascarella, Munir, Mathews, Schmidt 2, Dwaileebe 2.